Yes, here it is again – Your Digital Marketing Weekly Roundup, and the last one for the summer. We’ve all enjoyed some great, sunny times together, I’m sure, but if one thing’s for certain it’s that the digital marketing evolution never stops whatever the weather. This week Pinterest has been rolling out Promoted Video Pins, Facebook has been updating the look of business Pages, and Twitter has introduced Promoted #Stickers. Some great stories to cover indeed, and so, without further ado…. Twitter is one of those networks that is either suited to your business, or isn’t. As such, I can say with the greatest sincerity that I hope it is suited to yours, for over the past few weeks we’ve seen some serious updates to the platform that content marketers can really get their teeth into. Indeed, current marketing trends are rife with fun images, GIFs and emojis, and so stickers are likely to fit into this trending mix quite well at the minute. Creating your own brand stickers that other tweeters can use is certainly a smart move, and will give an extra layer of interest to your user-generated content strategies. Only selected brands currently have the privilege, however, but those that do can design and create between four and eight stickers which other Twitter users will be able to add to their own photos. It’s quite a quirky, almost Snapchatty innovation, but will allow brands to see and engage with the people who are using their stickers in more creative ways. Cool stuff. I’ve said it many times before, and now I get to say it again – when it comes to modern content marketing, it’s video, video, video all the way home. Pinterest is the latest network to update its platform with regards to video promotions as it brings us Promoted Video Pins. I was actually surprised to learn from the Pinterest blog that a whopping 75% of all content on the platform comes from businesses – perhaps I shouldn’t have been, but that really is a high figure. The popularity of video on Pinterest is most certainly growing – as it will be since this platform really is unequivocally one of the most important networks for businesses there is. Pinterest asserts that the new Promoted Video feature has been tested thoroughly and is proving beneficial to a wide range of brands and businesses. 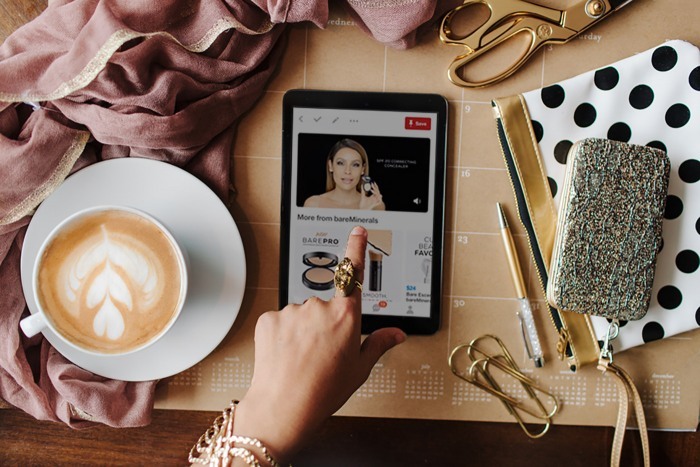 So, there we are – no matter if you’re into dog grooming, beauty products or digital marketing services, Promoted Video Pins on Pinterest has got to be high on your content strategy list going forward. The changes include an updated layout, which Facebook insists (and I do actually agree) is a “cleaner design”, where, for instance, the profile picture doesn’t overlap the cover photo (something that’s aggravated more marketers than me, I’m sure, for far too long). “Improved navigation” and more prominent CTA buttons have also been changed for the new update, and yes, all seem to look, feel and work much more intuitively than before. A nice update – and therefore a decent encouragement to us all to go back to our Facebook Pages and ensure that they’re looking spick and span. What are you waiting for…? Hop to it! That’s it for this week – see you next time in the season of mists and mellow fruitfulness. Enjoy the last week of summer! !